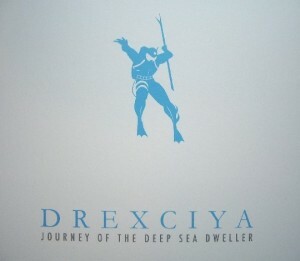 “Journey Of The Deep Sea Dweller I” is for Terminal 313 and any other electro head the most anticipated reissue of 2011. In fact a compilation, it catapults us back to the 1990’s when enigmatic Detroit act was still around. No need to repeat numerous superlatives that have been associated with James Stinson’s and Gerald Donald’s project over the years – just give us the music. It’s like meeting old friends again, with most tracks known from original releases and “The Quest”, so far the only CD compilation of Drexciya’s work. Included are “Wavejumper”, an anthem of aquatic commandos, “Bubble Metropolis” with it’s radio drama intro and smooth electro beats, B-boy boogie in “Take Your Mind”, mathematical vocoder in “Rubick’s Cube”, lab-sterile Dopplereffekt soundbites in “Dehydration” and many others. Exclusive to the release is “Unknown Journey I”, a fine daydreaming electro piece with background boom-boom and a real hidden gem. Starting a series of four compilations, Rotterdam’s Clone label has made a monumental step in sharing the legacy of Detroit’s electro innovators. Vinyl is on order, but decided to go also for the CD in nice digibook case, especially when the track lists are identical.